On 10 May, the 7 members of the Industry Advisory Group (IAG) for North East Iceland met for the first time. The meeting was organised by Ragnheidur Jona Ingimarsdottir and Hulda Jonsdottir from The Cultural Council of North East Iceland. The IAG members are Hlynur Hallsson (Artist and director of The Akureyri Art Museum), Helga Bjorg Jonasardottir (Product Designer and Lecturer at VMA Akureyri Comprehensive College), Anita Guttesen (Ceramic Artist and Project Manager for Seigla Creative Space), Lara Soley Johannsdottir (Freelance Musician), Maria Rut Dyrfjord (Graphic Designer), Daniel Starrason (Freelance Photographer) and Baldvin Valdimarsson (Project manager at the Regional Development Agency). The members were quite excited to get involved in a creative momentum project and dialogue with creatives from different fields. 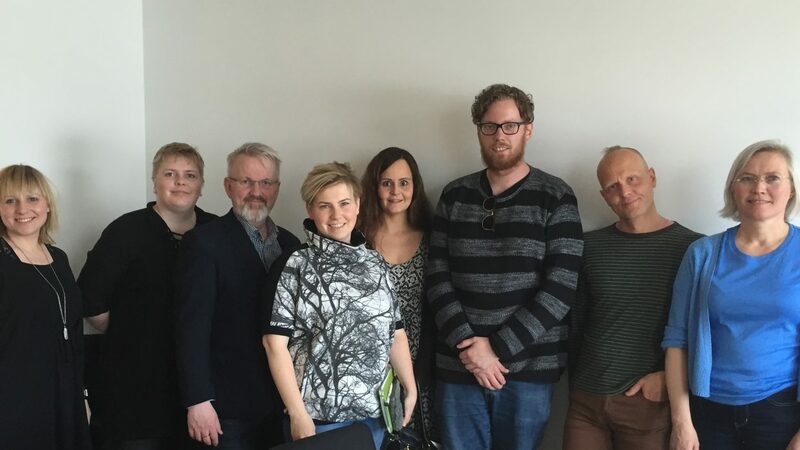 The main topics of the discussion were the MyCreativeEdge website, the establishment of Creative Trails under the project, the organisation of information and network events called Creative Exchanges, and the results of a recent survey of the creative industries sector in North East Iceland. The members showed great interest in these topics and look forward to seeing how a creative momentum project will impact creatives in the region.